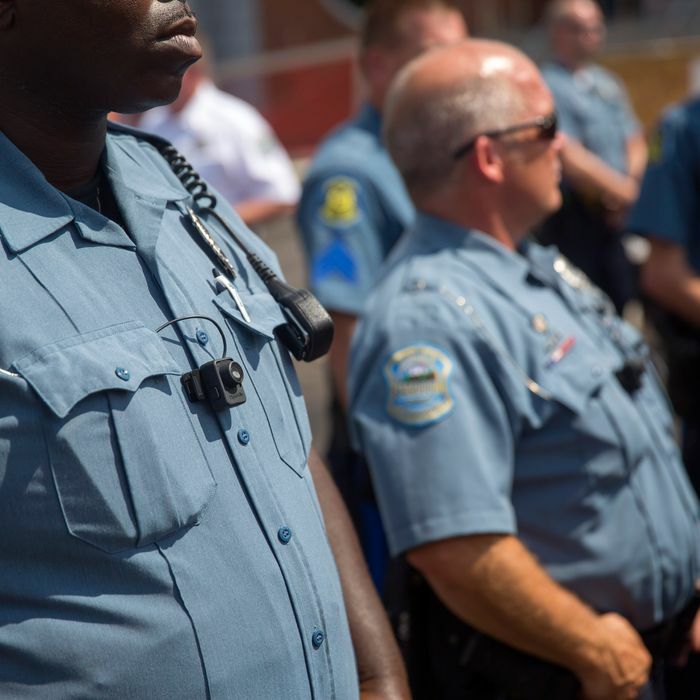 Outfitting police with body cameras is the most concrete solution that’s emerged from the debate surrounding the situation in Ferguson, and less than one month after Michael Brown’s death, police there are already giving them a try. The St. Louis Post-Dispatch reports that two companies, Safety Visions and Digital Ally, donated about 50 cameras to the Ferguson Police Department a week ago. Ferguson Police Chief Tom Jackson said they are “still playing with them,” but officers started using the cameras at a protest march on Saturday. Jackson said the officers captured video of protesters taunting them. More than 153,000 people have signed a “We the People” petition to create a “Mike Brown Law” that would require all police to wear cameras, and several police departments across the country have moved toward implementing them in the wake of Brown’s shooting. Police in Columbia, South Carolina, just started testing the cameras, and last week the police chief in Houston, Texas, requested $8 million to equip 3,500 officers over the next three years. The police department in Rialto, California, which has been using body-mounted cameras for a year, has seen the use of force by officers decline by 60 percent, and citizen complaints against police drop 88 percent.